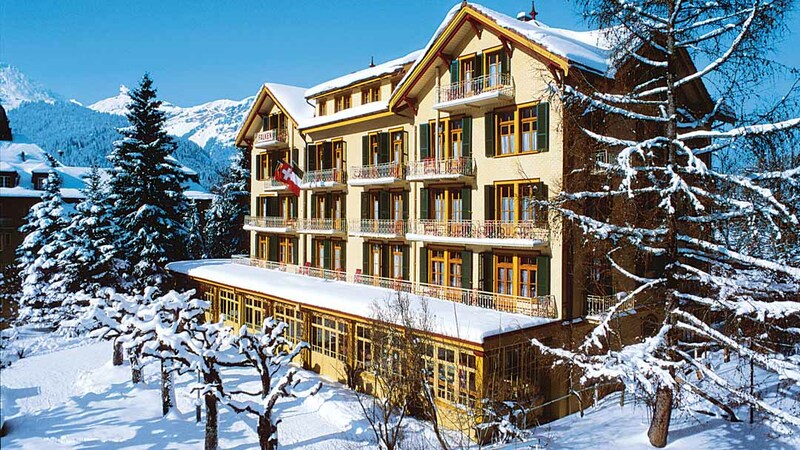 Run by the Cova family since 1895, the Hotel Falken is one of the historic, traditional hotels of Wengen. This friendly family run hotel is set in a quiet garden just above the resort centre. The hotel enjoys fantastic views of the village, the Lauterbrunnen valley and the stunning Jungfrau. 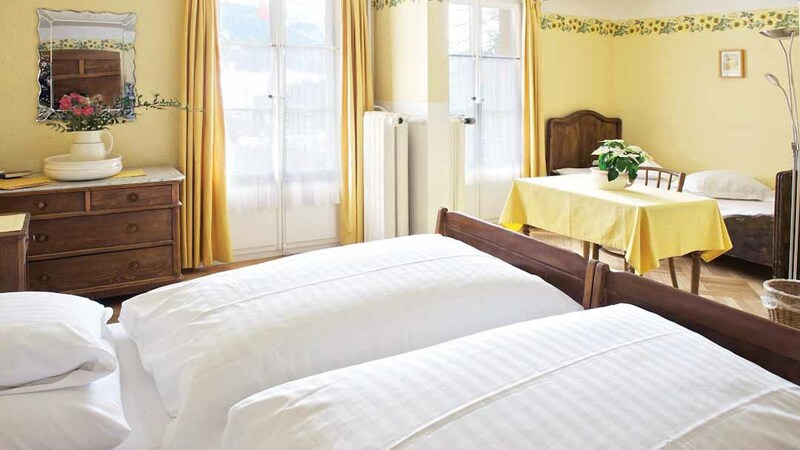 The bedrooms have been beautifully renovated retaining the traditional features and style. Doorstep skiing in normal snow conditions, 4 minutes walk to the resort centre. 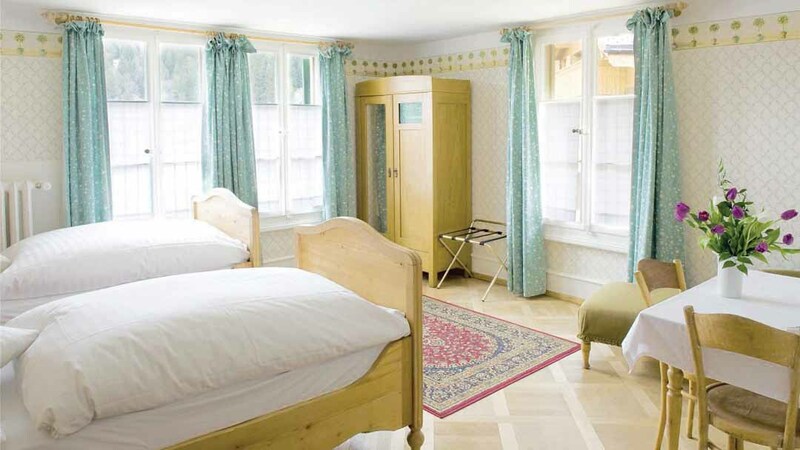 South facing rooms offer spectacular views over the Lauterbrunnen valley and Jungfrau mountain. Cosy bar and lounge area with a pianist most evenings, free Wifi in public areas. 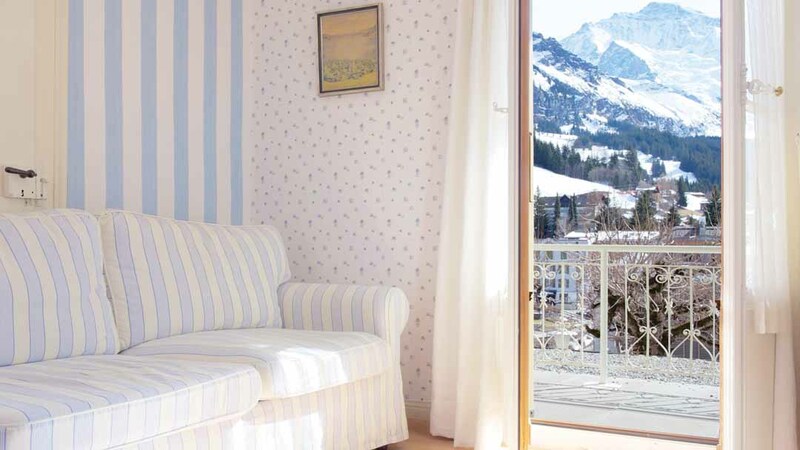 Ski to and from the door in normal conditions · peaceful location · 4 minutes walk to resort centre, Männlichen cable car station and ski school meeting point. Rooms: 44 BedroomsFor 2 people on half board sharing a twin or a double north facing room with private shower and WC. 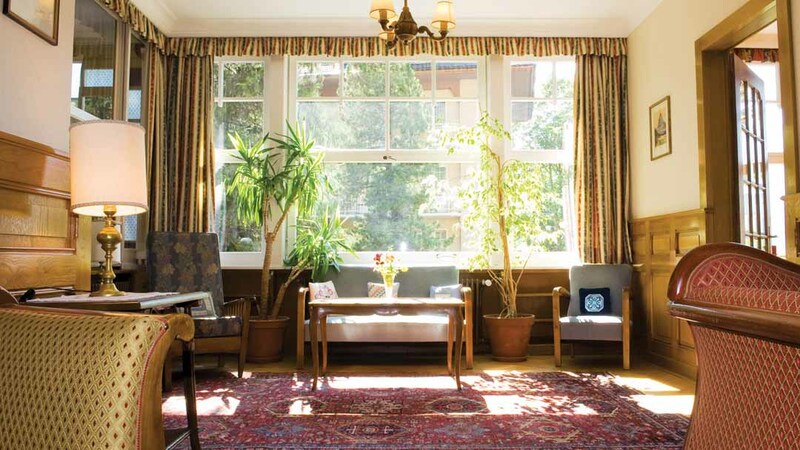 South facing rooms and south facing single rooms with balcony are available at a supplement. Interconnecting twin rooms, one with a washbasin and sharing bathroom facilities are available. All bedrooms have telephone and radio. Lounge · cosy bar with a pianist most evenings · TV room · sun terrace · free WiFi in public areaa · lift · 44 bedrooms. 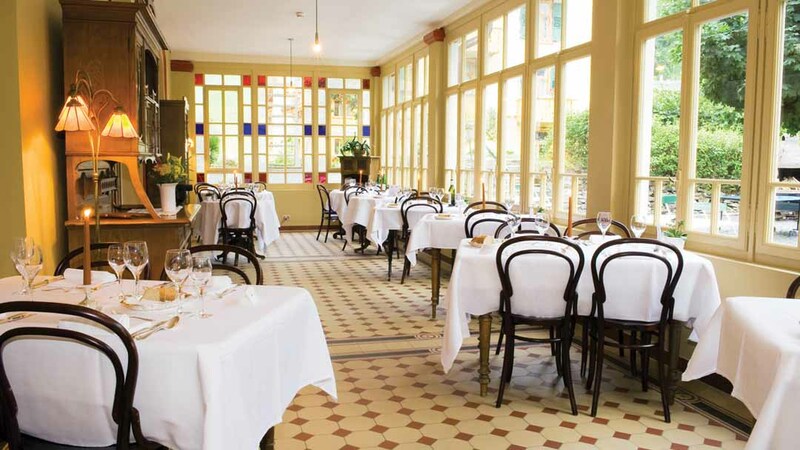 Hot and cold buffet breakfast · 4 course evening meals with choice of main course · weekly buffet · Christmas and New Year gala dinners included • fondue available on request • health food options. 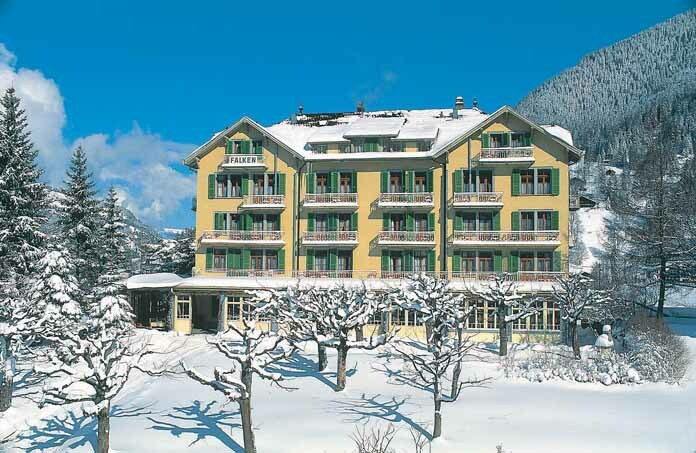 Book by 30 Sep 2014 for winter 14/15 and receive 60CHF hotel credit per person to spend in the hotel bar. Offer is available for all customers aged 18 years and above. This will be automatically added at time of booking. Terms and conditions apply.